A good credit score is as important as your income and repayment capacity when it comes to securing loans at the best rates. Use the various ways to improve your credit score such as using Credit Cards wisely, increasing credit limits, and so on. It is easy to build a high credit score, but it is a challenge to maintain it consistently. Let us discuss five good habits that can not only get you a high credit score but also allow you to maintain it. Therefore, it becomes easy to apply for a Personal Loan. If you Need a Personal Loan Today, you should develop these good credit habits. The secret to maintaining a good credit score is to do the simple things right. Credit scores range from 300 to 900. Any score above 750 is an excellent one. It makes it easy for you to get loans when you have such a high credit score. Therefore, to improve your credit score, it becomes imperative to know where you stand. Call for your credit report from the credit bureaus. You get one credit report free of cost from each of the credit bureaus. 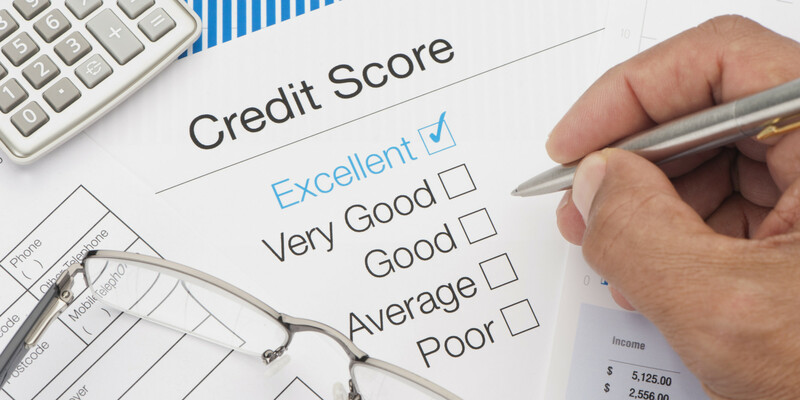 Go through the credit report and look for inaccuracies that can affect your credit score. Your name, address, PAN details, and information about other identification documents are vital. Your report will provide complete information about all your loans. Check the genuineness of the loan accounts. In case you find any inaccurate info, dispute it immediately and rectify the error. Check your credit score at monthly intervals for the variation. In case you find a dip in your ratings, you should investigate the reasons for the same. The repayment of your loans is the main criterion for determining your credit score. Repay your loan instalments andCredit Card bills on time. People having good credit habits make it a practice to repay their Credit Card bills in full every month.Setting up auto-debit instructions with the respective bank is the easiest way to ensure you pay on time. Maintain adequate balances in the account to facilitate these auto-debits. You can also set up a reminder mechanism on your smartphone that can alert you as the due date approaches near. It is essential to multiple credit facilities to maintain a good credit score. That does not entail you should sign up for every lucrative card offer that comes your way. You should apply for credit facilities only when you need them. Lenders love to see multiple credit accounts on a credit report, but having various new credit accounts on your credit report gives a negative impression about your credit profile. Understand that lenders check your credit history every time you apply for a credit facility. It can impact your credit score negatively. Your credit utilisation ratio (CUR) is a crucial constituent of your credit history. It also indicates how you have used your credit in the past. The CUR is the ratio of the Credit Card balance to the overall credit limits sanctioned by the banks. The ideal CUR is around 30%. It also enables you to make your repayments regularly. Hence, you are not only safe from falling into a debt trap but also ensure that you maintain your high credit rating. Know when your lender reports the balances to the credit bureaus. You can keep the adequate credit utilisation ratio better if you have this information. Credit bureaus and banks love to look at your age of credit lines. Hence, it becomes vital to maintain your older accounts well. People having an excellent credit score do not close their old credit cards unless it is necessary to do so. It is also essential to use your Credit Card regularly to maintain the high rating. The longer your credit history, the better it is for managing your credit score. Banks trust people with long and stable credit histories. When you maintain an excellent credit rating, it becomes easy for you to apply for a Personal Loan. Also Read: Are You Still Paying High Interest on Your Home Loan?